Computational thinking (CT) is a term widely used to describe algorithmic thinking and logic reasoning concepts and processes often related to computer programming. As such, CT as a cognitive ability builds on concepts and processes that derive from computer programming, but are applicable to wider real-life problems and STEM domains. CT has recently been argued to be a fundamental skill for 21st century education and an early academic success indicator that should be introduced and trained already in primary school education. Accordingly, we developed three life-size board games – Crabs & Turtles: A Series of Computational Adventures – that aim at providing an unplugged, gamified and low-threshold introduction to CT by presenting basic coding concepts and computational thinking processes to 8 to 9-year-old primary school children. For the design and development of these educational board games we followed a rapid prototyping approach. 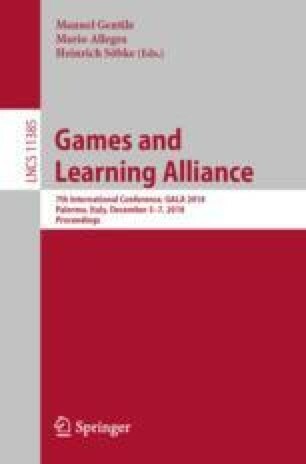 In the current study, we report results of an empirical evaluation of game experience of our educational board games with students of the target age group. In particular, we conducted quantitative analyses of player experience of primary school student participants. Results indicate overall positive game experience for all three board games. Future studies are planned to further evaluate learning outcomes in educational interventions with children.